You're tired of living in financial survival mode, you're tired of being broke, you're tired of not living the life you always dreamed of. 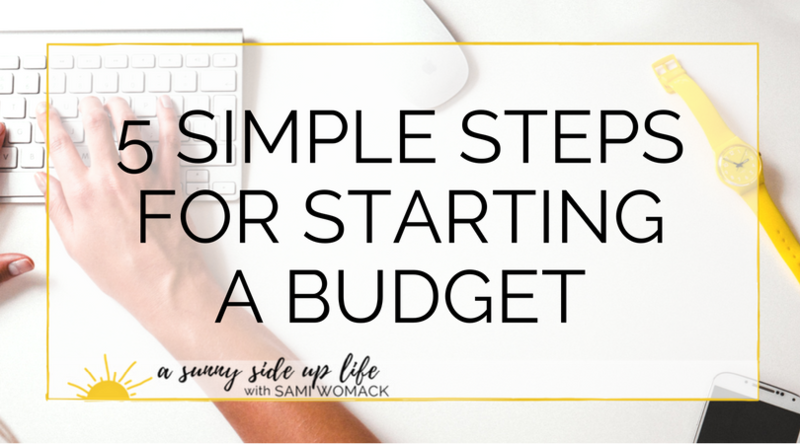 So, you decide that you're ready to start a budget! You do a quick Google or Pinterest search...you find hundreds of articles...you're instantly overwhelmed even more than you were when you first started. Sound familiar? Yep! I've been there too friend! Over 3 years ago I sat right where you're sitting. Scared, overwhelmed, and ready to break free from survival mode once and for all! When I first added up my family's debt it totaled $490,000! Our bank account was usually negative a couple of days before payday, and I had no idea how to get out of the mess that we had gotten ourselves into. Since then, I've spent the last 3 years trying + testing all of the best budgeting methods to get my family out of some serious debt...and I'm happy to report that as of January 2018 we're 100% debt free! What steps do you need to take to get this mess under control? You've got to stop going out to eat + shopping too often! It's time to grow up and start looking farther into the future than just the next payday. Having fun on the weekend isn't the most important thing anymore...I want you to broaden your horizon. I want you to really put some thought into what behaviors + mindsets got you into such a financial mess in the first place. This journey isn't just a quick fix, you want to get to the root of the problem and truly fix it so you can move on and grow! If you have bank records you can start with back-tracking your spending by going back into your records 3 months to see where you've been spending your money. Group your purchases up into categories (I suggest keeping it as simple as possible), total up those categories, and find an average over the past 3 months. If you normally spend in cash or don't have access to your past spending records, then just simply start right where you are with tracking your spending. Grab a notebook or Budget Worksheets and write down everything single thing you purchase! This will let you know what you needed to cut back on, or what you need to cut out all together! ...trust me, it'll be an eye-opener! >> Need help with this part? Sign up for my FREE Course below + I'll help you get started! Ready to get SERIOUS ABOUT YOUR BUDGET? You might not have great influences in your personal life or maybe the people around you just don't understand what you're trying to do. You don't have to do this journey alone! There are people from all over the world who are on the same journey that you're on! People who understand what you're doing, people who will cheer you on, + who you can share your struggles + your wins with. Whether your goals are to become debt free, just stay on top of your spending, retire early, build a home, put your kids through college, or travel more...these simple steps can help you get started on the life of financial freedom you've always dreamed of! Are You Hiding From Your Debt?